Our dairy range is based on milk and cream from Maleny Dairies and includes a huge variety of flavours to satisfy every taste. Kids (and those young at heart) love Cookies & Cream and Fresh Mint Chocolate; while the nutters love Caramelised Macadamia (pictured on the right) and Salted Pistachio. Our wide range of sorbets (dairy-free and vegan) are made according to seasonal availability of fruit to ensure freshness and nom-liciousness. We usually have four to five sorbets on display. Pictured on the left: Farm Berry Sorbet. 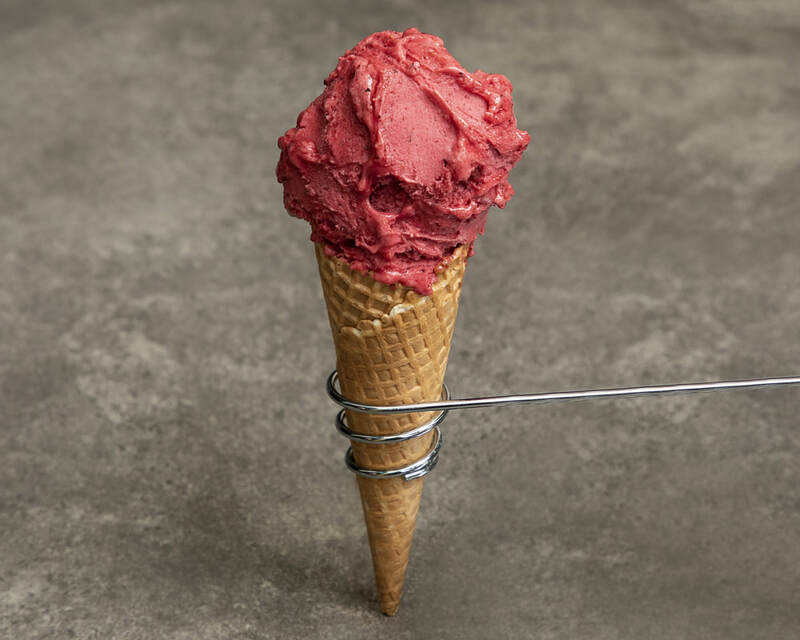 Due to popular demand, we also offer delicious dairy-free and vegan gelato flavours such as Crème Brûlée (soy-based) and Dark Chocolate for our many fans with special dietary requirements. We usually have two non-dairy flavours on display in addition to the sorbets. Our flavours are the real thing! We use fresh, seasonal fruit in our sorbets where we can, and of course only the best quality Swiss chocolate in our chocolate range. We strive to keep our gelato natural, artificial-free, and source local ingredients where possible. “Everyone needs to do themselves a favour and try some of this incredible gelato! When I saw they had peach flavour I knew it would be good, but I had no idea just how mouth wateringly amazing it was going to be..and then when I saw they had mint flavour too I knew this was going to be my new go to dessert place.” - Holly M.